Ken Gora PhD is the Executive Producer and creator of The Romance television series. Most recently he was the creator, judge and Director/ Producer of the television series "So You Think you Can Sell". With his PhD and M.A. in Psychology and his years of facilitating interpersonal relationships, he is your host on the panel. As a marketing consultant, television producer and a leader in the field of branded entertainment, he has helped clients get their products and services across a national landscape. He has given talks on "branded entertainment", "recruiting high performers" and "reality tv" to various groups and organizations. His previous experience was both in the recruiting field as wells as the personal/organizational development field where he conducted optimal performance seminars for both the public as well as such firms as General Motors, Atlantic-Richfield, Coca-Cola etc. His website is www.brandedent.com. 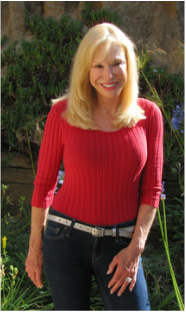 Kimberly Seltzer LCSW is a Therapist, Image Expert and Dating Coach based in Los Angeles. She utilizes the unique combined use of therapy, in-field date coaching and styling to help people with their confidence and dating life. Elle France is a Rancho Santa Fe matchmaker and dating agent. She is also the CEO/Founder of the new edgy premium tequila, Cosa Salvaje. She has been featured in FINE Magazine, Ranch and Coast and the San Diego reader as a Premier Five Star Matchmaker in Southern California. She also writes for the examiner as a dating advice specialist. Her boutique services have that “Jerry Maguire” approach that can help you find The One. Terri Smith. For more than two decades, Terri Smith has been matching singles and has been responsible for bringing together more than 700 couples in marriage. Even more impressive is that she has a zero divorce rate! Her approach is different as she fully understands the difficulties that come with being a single person in our “marriage centered” societies. She is a guest expert on an episode of The Romance and she is the owner of the The Matchmakers USA. Terri has successfully created a service that provides a safe and sophisticated option for meeting exceptional, successful singles with integrity, who are looking for a long term relationship headed toward marriage and will share her insights on our program. ﻿Barbara Summers has always believed that if you do what you love, the money will follow. And love is what she loves. Since launching her professional matchmaking business Healthy Professional Singles in 1986, Barbara has matched over 300 couples into marriage and is another featured guest expert. Barbara studied psychology at Southern Illinois University and she has been a guest on Good Morning San Diego, Channels 7 and 10 evening news, and The Phil Donahue Show and was featured in an Emmy Award-winning documentary about the wives of professional athletes. Barbara also has extensive experience as a live radio show host, including the Babs Summers Show on WJBK and Singles Talk on KCEO, a popular listener call-in program about relationships.